Approximately 3 years ago AVA was able to introduce a concept born from this very forum. The concept took approximately a year to bring to market as this was, and remains, the singular focus and the only product AVA has ever made. I was humbled by the response then, and continue to be. 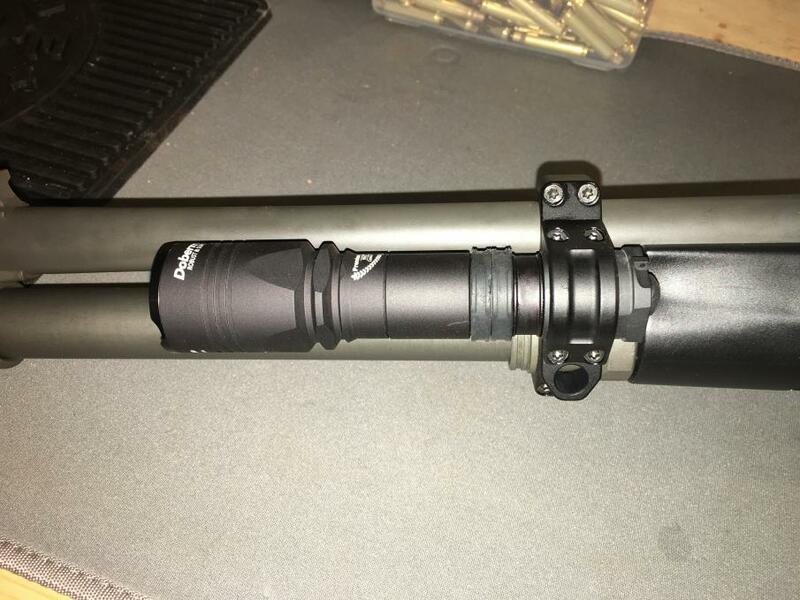 I've taken in to account all of the feedback received and have done my best to remain loyal to the needs and requirements of those who use the solution by incorporating into the latest version - the AVA Mod1 mount for the Benelli M4. Lastly, I wanted to thank everyone for their patience. I feel obligated to have the products in my own hands ready to fulfill orders before I take those orders, but I do recognize this also contributed to anxiety. I am sorry. We're over that now. Thank You for understanding. Positive Clamping. Increased surface area and geometry ensures even slick body lights will not slip. Scout Style* mounting, captive lug ensures these lights cannot move. Bezel Diameter accommodations up to 1.4 inches, including the Fury series. 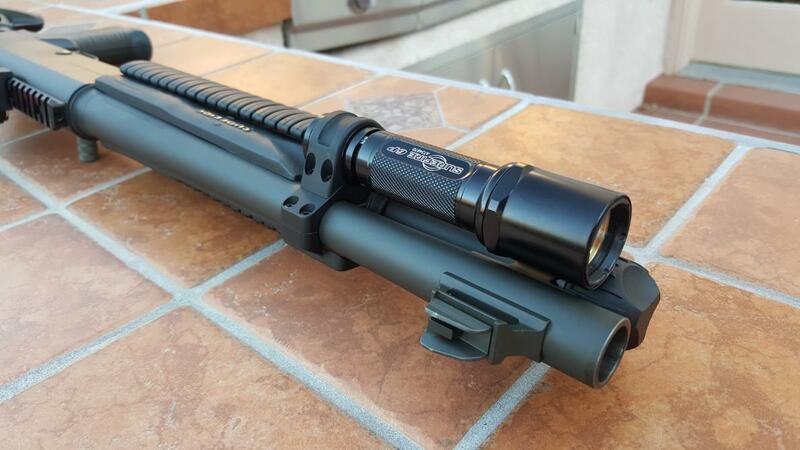 Does not clamp to the barrel, Mod1 geometry floats the mount around the barrel surface. 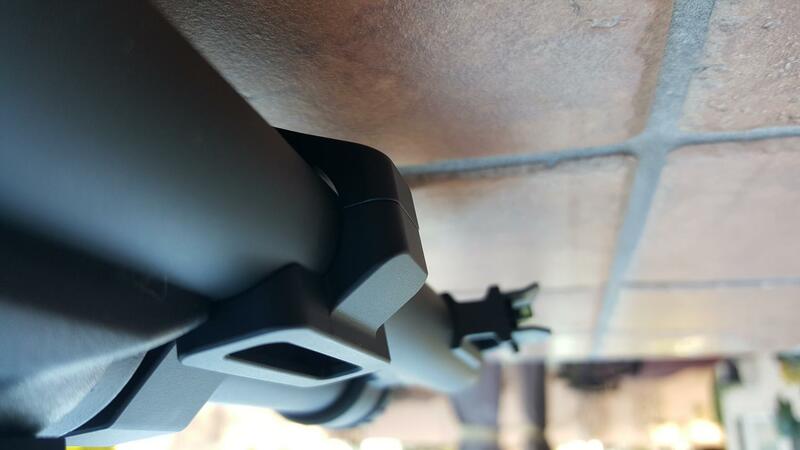 M-LOK* universal attachment interface replaces pic rail. This reduces material, snagging issues and risk of injuries. 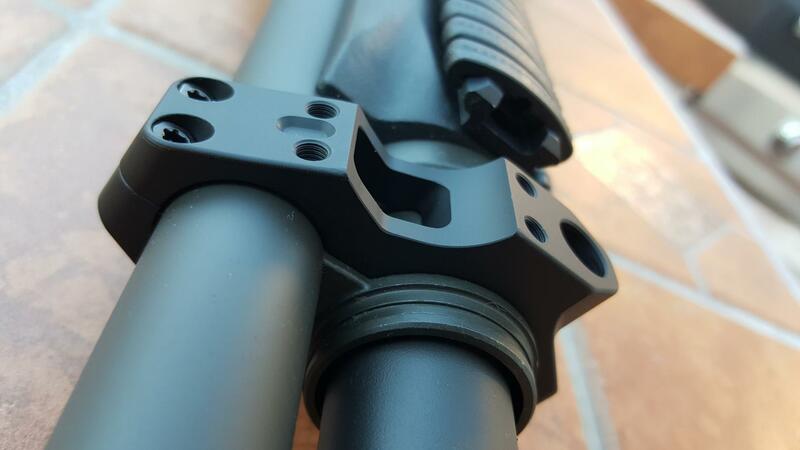 M-LOK rails in polymer or aluminium and QD sling bosses can be added here depending on requirements. 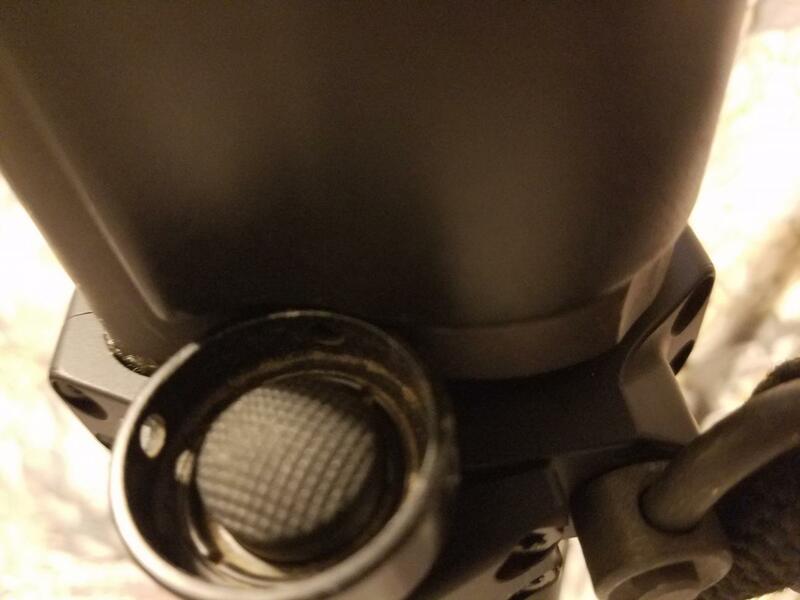 Improved geometry - Flush connections with no gaps, alignment lugs throughout system. Improved aesthetics - Further streamlining and aggressive rounding. Lightening reliefs are no longer through cut, and the logo is now subtle in all black. Simplified offering, all mounts come with facilities for .8 Inch, 1 inch and Scout lights. PERFECT light button and body placement, not just 'good enough'. 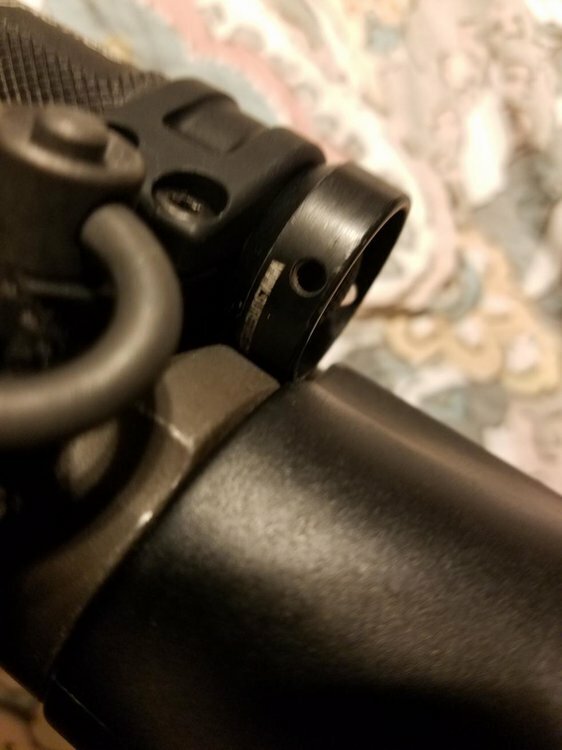 Allows for clearance of bezel but still puts the light activation button in the perfect position without unsightly gaps between the light and the firearm. Snag free design with no protrusions, ultra low profile with all edges heavily rounded. Accommodates .8 Inch, 1 Inch and Scout Style* lights. 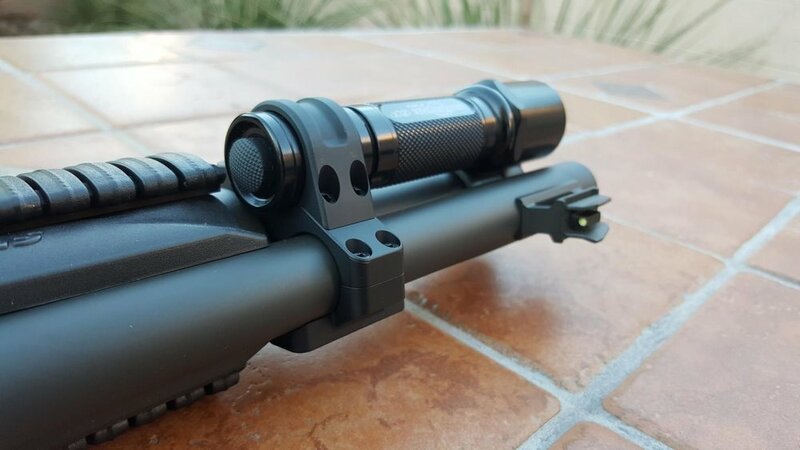 Ambidextrous system, you can mount the light and QD sling boss on either side and the rail on the opposite side. Extremely Light Weight at under 2 Ounces. Does not require you to remove your factory sling ring. Initially we have very limited stock. In consideration for those who have offered tremendous support for this solution over the years are offering an introductory price of $115 for the mount. This will adjust to MSRP once stock has depleted. *WE ARE OUT OF DOBERMAN COMBOS* Thank You and Sorry. More information on the lights and accessories in the following posts. I feel incredibly indebted to this entire community, several individuals here who have been supportive and especially to StrangerDanger & calviroman for their time and input during the design and prototyping of AVA Mod1. 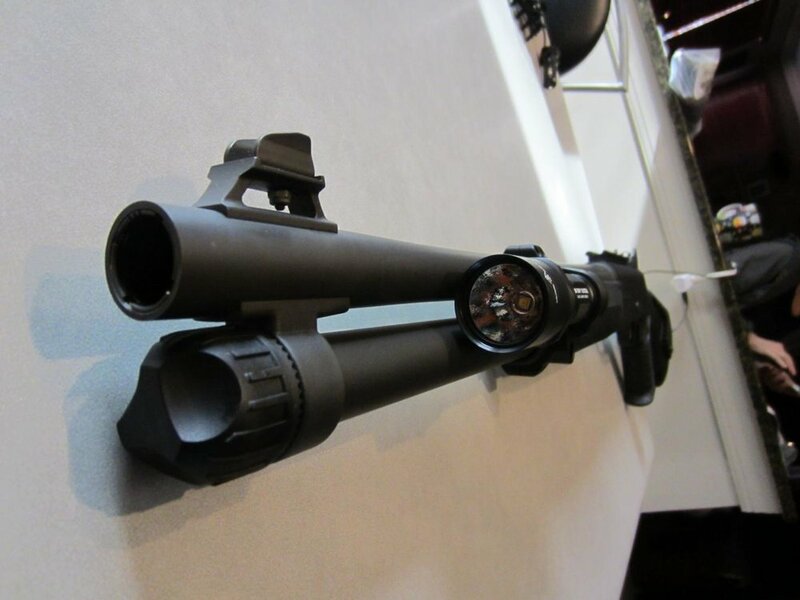 *See next post for additional information on Scout style lights and the M-Lok interface. By popular demand we will be offering turnkey solutions including lights and some accessories. 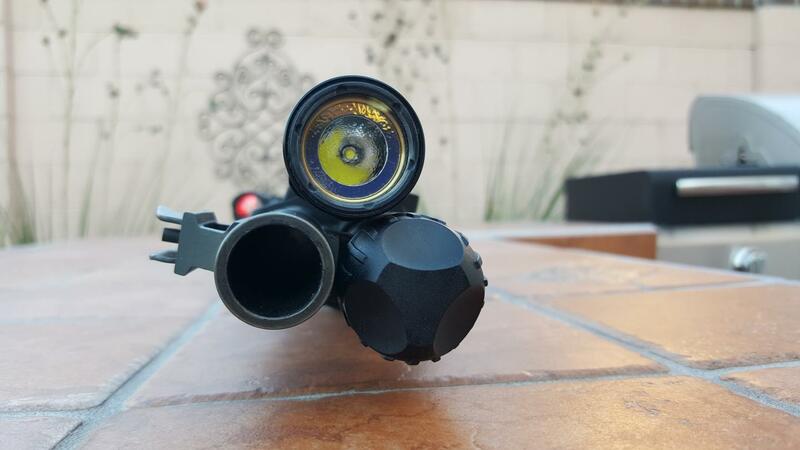 Scout Style Lights with the AVA Mount require an aftermarket Scout body or modification to the Surefire Body as well as a non-Flared tailcap, Z61 or equivalent. All light bodies and complete lights from AVA are ready to go. AVA offers the appropriate light bodies and tailcaps as well. ArmyTek is a Canadian outfit and they warranty their products for 10 years. They have superb threading, fully potted weapons ready lights that AVA will stand behind. Torchlabs has a incredible reputation in the enthusiasts circles, again fully potted and weapons ready lights - incredibly bright but this is obviously at the cost of battery life. The Torchlabs emitters are fully programmable for output and battery preservation. These offerings are cutting edge and come with a price to reflect that, this is for those that will accept nothing less. 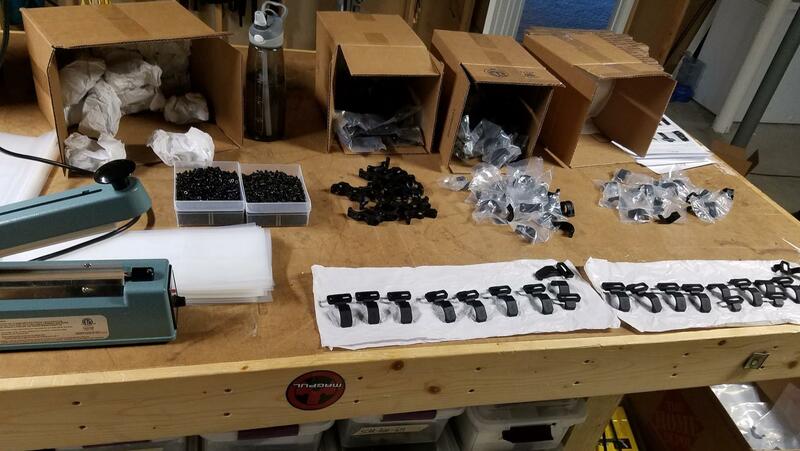 Malkoff is another extremely trustworthy supplier, we stand behind the product and believe these meet or exceed the quality of the Surefire OE while offering reasonable pricing. AVA is confident in all the offerings and I feel this brings to the table a wide range of choices for all interests. There is no funny business with lumens here, all are on a equal playing field with no non-sense "OUT THE FRONT" measurements. 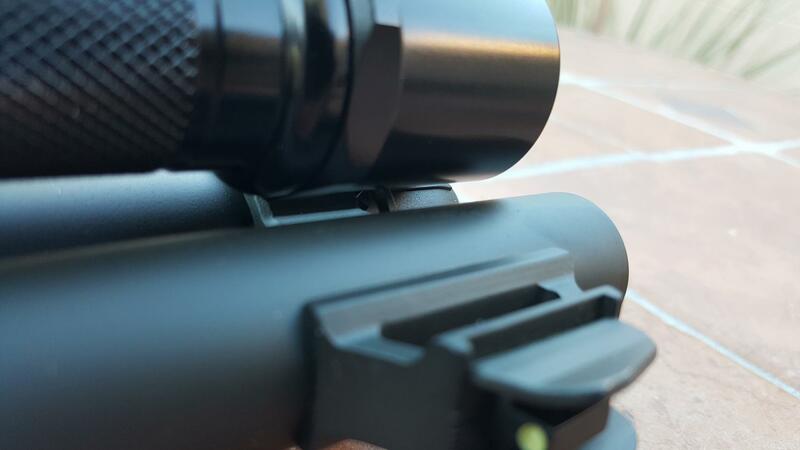 Note that the MLOK interface on your AVA Mount keeps the principles of the AVA design in mind and is as low profile as it can possibly be. With this in mind, some vendors may supply screws that are too long for our purposes and can contact your barrel. 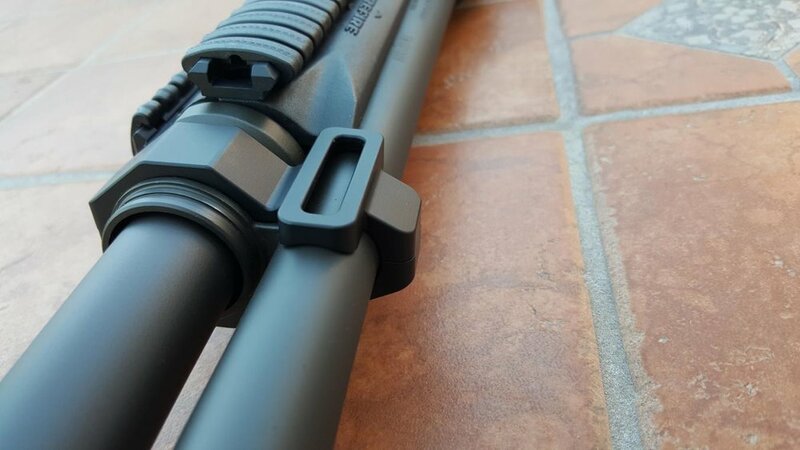 All MLok accessories from AVA have screws that are the correct length or have been shortened to ensure proper clearance. Nicely done. My order is in. NOTE WE ARE OUT OF DOBERMAN LIGHTS NOW. I will restock and a combo will be available but it will not be at the introductory pricing. 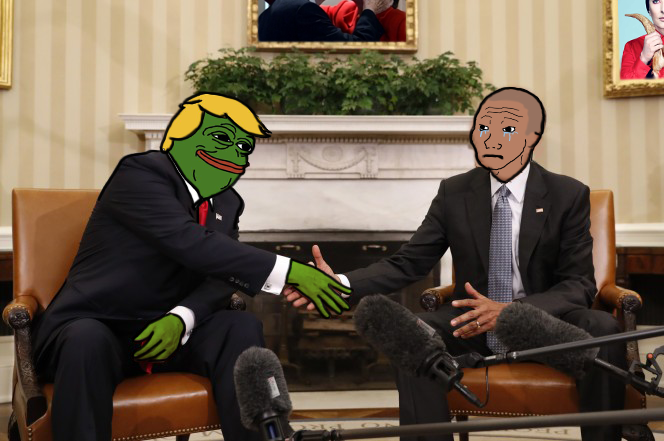 So much win, are you tired of winning yet? Got mine in last night. What an outstanding revision this is. The machining and design input is outstanding. Capturing the foot of the light body of a IWC backbone is the best. It's not moving unless you want it to. I like the move to the MLOK rail rather than the picatinny rail. It's a lot more low profile for users who do not have anything to mount there. I'm going to build a few M600IB variable output lights together for these with a backbone replacement body. A McClickie tailcap will be needed. 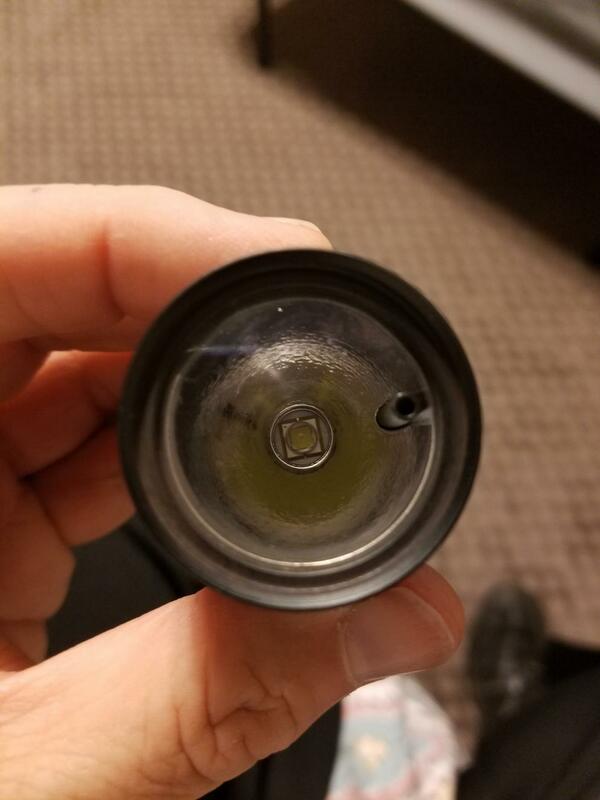 The shroud of a Scout light tailcap won't fit due to how close the light rides. It can be lathed off though. I received the mount and Doberman light combo last night. Installed both today they are are great. Super easy install and everything fits and works perfect..Thanks for another great product. Sorry that the photos do not do this justice. I am a terrible photographer..
Pcklst... what do you think of the doberman? The threads are trapezoidal, which is better than 99% of all flashlight brands out there. Coincidentally, the square back on the tailcap is PERFECT for the AVA mount, because much like a Scout style light it is completely captive. I've had a doberman on a M4 for over 6 months now and been beating the living heck out of it testing. It is a great light from what I can tell, and bright to boot. Received an AVA Mod 1 mount yesterday evening. 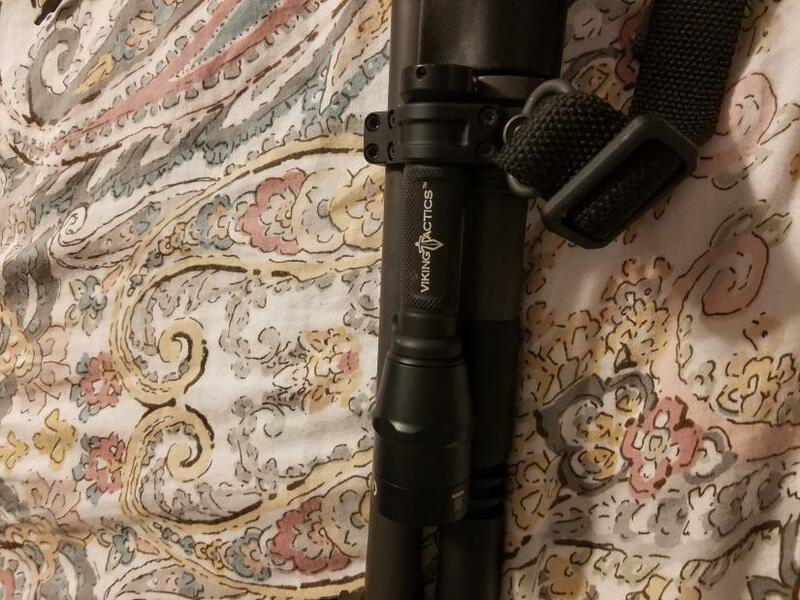 Over the years I’ve tried all the different Benelli M4 weaponlight mounting solutions, including Surefire M80, CDM Gear MOD-C, BLAM4,AVA Mod 0, and now the AVA Mod 1. IMHO,the Mod 1 is an outstanding solution to the M4 weaponlight & forward QD sling mounting problem, easily the best to date. Most M4 owners are very familiar with the AVA Mod 0 and so I’ll focus on what is different with the Mod 1. 1. Fit & finish: The Mod 0 had pretty good overall design, machining, and finish. The Mod 1 takes it up a couple notches with alignment nubs / lugs at mating surfaces for precision alignment and gap-free positioning. The finish is impeccable and equal to other high-end aftermarket weapon accessories. 2. Design: Several big improvements on the Mod 1.
a. 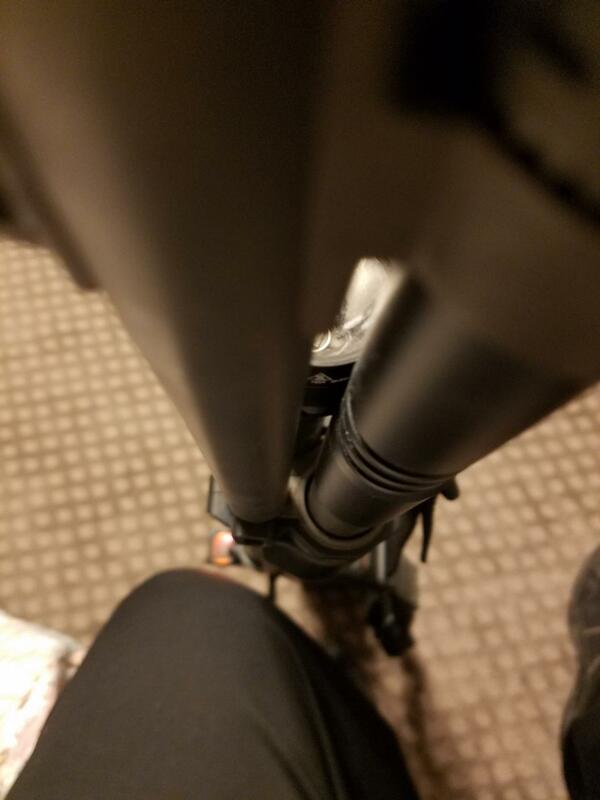 The most obvious being the Mod 1’s M-LOK slot in place of the Mod 0’s Picatinny Rail. 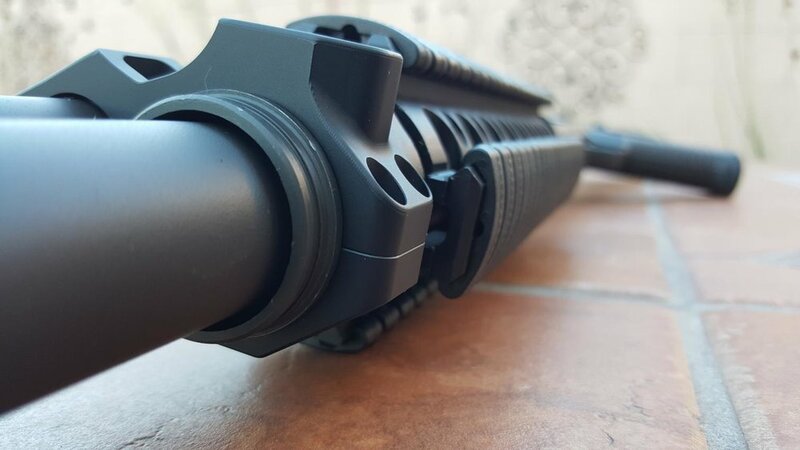 I never liked the 1913 rail on the Mod 0 as I disliked the lightening channel machined into each slot due to it possibly causing compatibility issues with some accessories, such as LaRue QD mounts. The Mod 1 is a much cleaner & snag free arrangement. b. 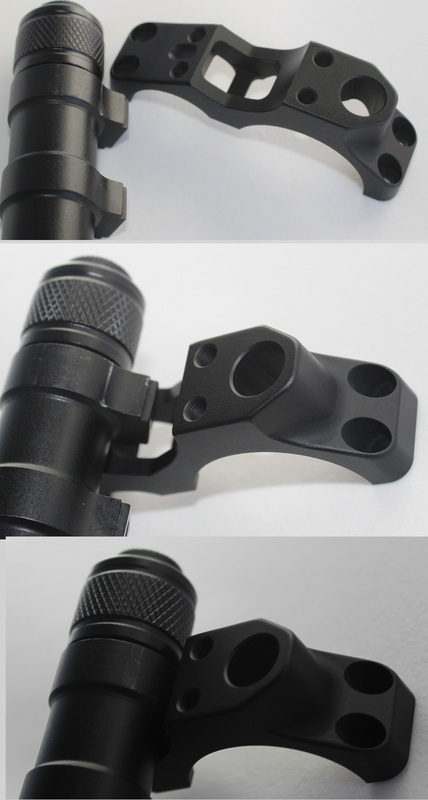 The mount assembly is machined to perfectly host an aftermarket (Arisaka or IWC) Scout body rear mounting boss. This is great as these aftermarket Scout bodies are widely available for around $50 and results in an absolutely solid lockup. 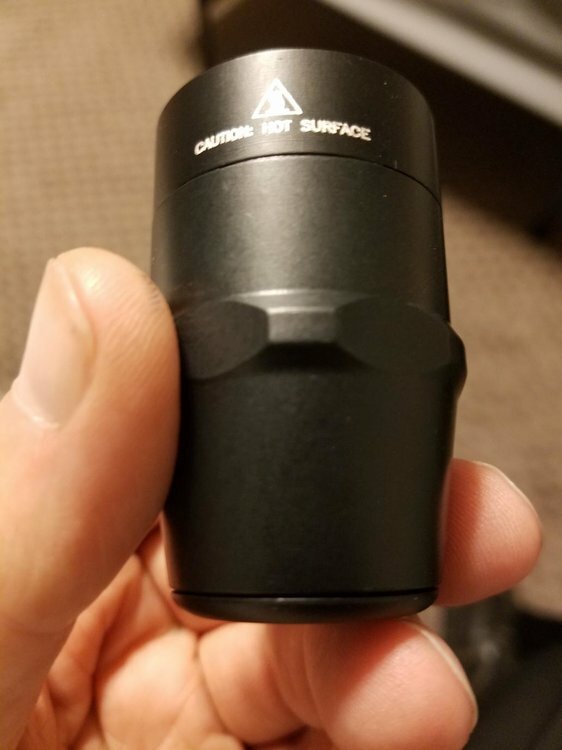 c. The 1” and 0.8” light body rings and other mating surfaces are machined such that there is greatly increased “gripping surface” between the light body/ tailcap and the mount & mount ring. I included several pics below showing the 1” ring in use (light is a Surefire 6P w/ Z59 tailcap). d. The top part (near barrel) of the AVA Mod 1 does not touch the shotgun barrel. It “floats” around it with about 0.5mm equal gap all around. 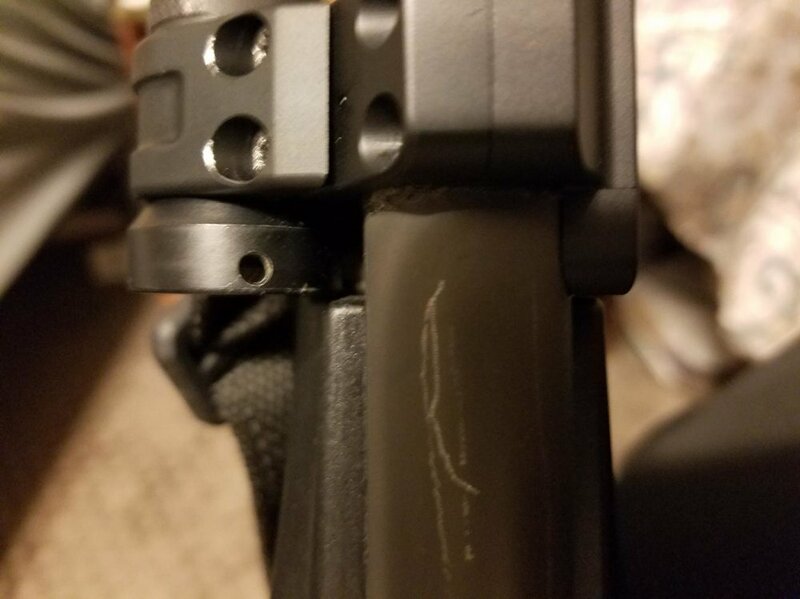 I tried to capture this is a pic below.This is nice as the Mod 0 version could mar the barrel finish…a non-issue on the Mod 1.
e. Lightweight. Including all hardware, total weight is 1.96 oz on my scale with the 0.8” ring or 1.98 oz with the 1” ring. 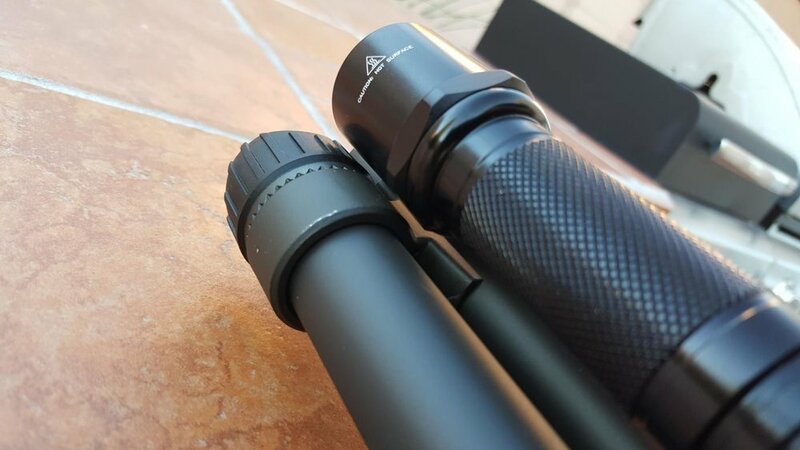 f. Bezel Clearances: As you can see in the pics, the clearances for weaponlight bezels has improved and the system now accommodates the excellent Surefire Fury line with its larger 1.37” bezel. The SF 6P light in the pics has a 1.25”bezel. 3. Overall thoughts: I really like the Mod 1. 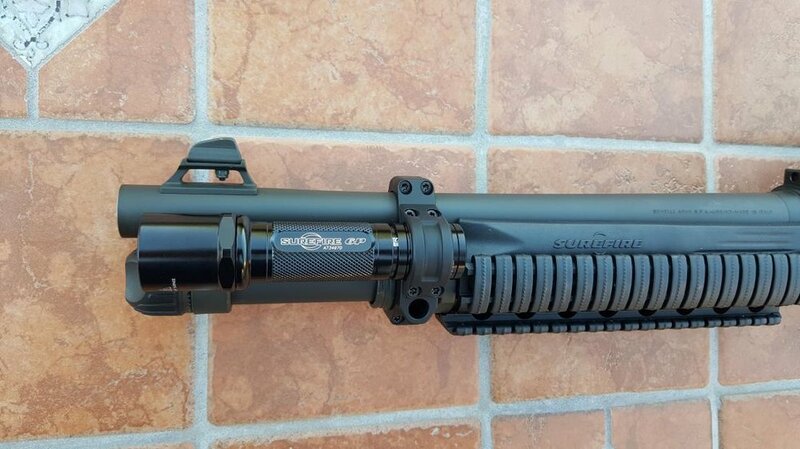 I think it represents a major improvement over the Mod 0 which was already the best-in-breed weaponlight mounting optionfor the Benelli M4. Tons of flexibility to accommodate a wide spectrum of relevant weaponlights. Very well done! A nice extra is that it now includes both the 1” and 0.8” rings at no addl cost. I recently received my new AVA light mount for my M4. I currently utilize the Fenix PD 35 tactical flashlight. I think the mount is great! However, I do have a concern. 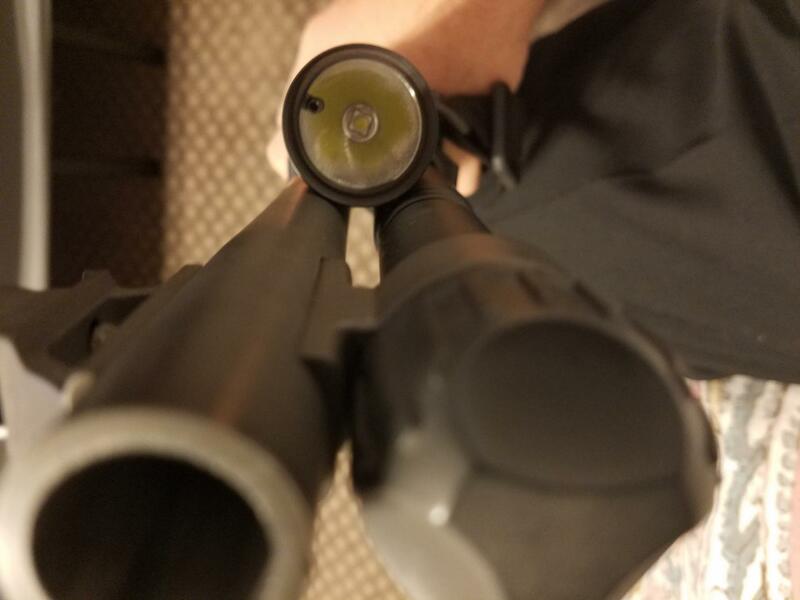 I mounted the light on the left side of the shotgun. When activating the light, the flashlight casts a shadow to the right side of whatever I'm lighting up. Of course, this is due to the barrel, etc., which blocks the flashlight's emit. Any resolution? I want to be able to see everything lit in front of me. I've included a photo of how my light is mounted. Please see attachment. 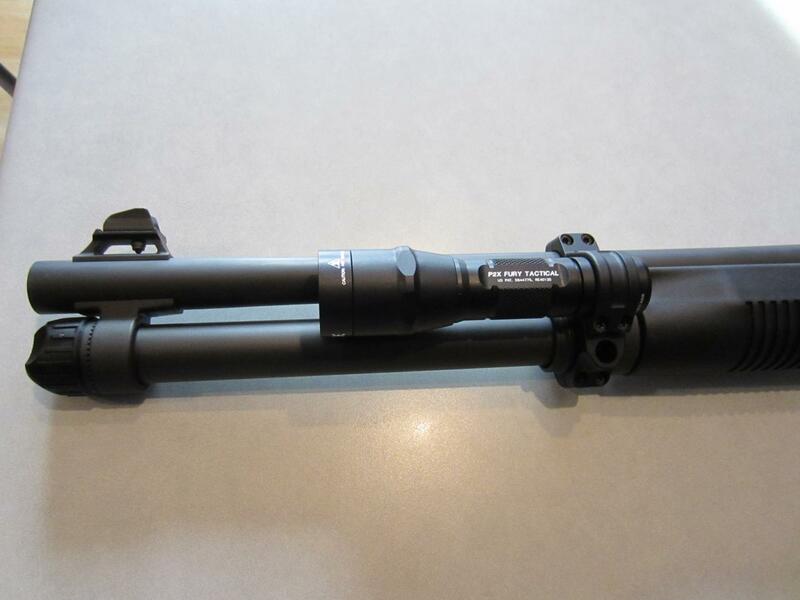 Lengthen your light 4" or shorten your barrel 4" ! The Doberman light appears really nice..Very good fit and finish, and yes bright. We will see over time how it holds up. Thanks you again for putting out an excellent product. 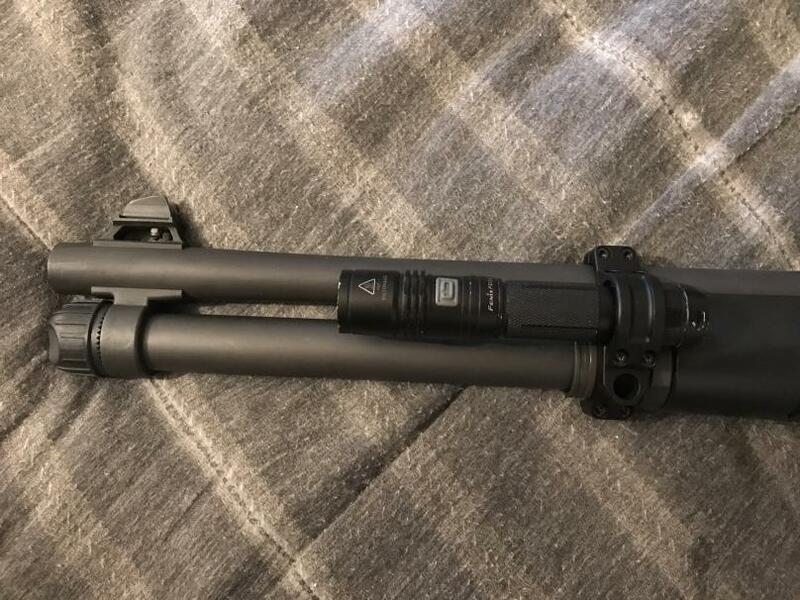 Just received the AVA Tactical Mod 1 Benelli M4 mount. I won't repeat all the aforementioned accolades, just confirm them ! The machining, fit / finish is excellent. I plan on trialing several light options in the next few weeks and will post up some photos. Thanks again to Joel for his business fortitude in delivering another quality M4 accessory to the marketplace. Thanks for the review and comments on the intellibeam light. Very interested in your feedback on the intellibeam as well, if they go to full brightness and back down when pointed a near wall, etc - without any issues related to reflected light back off the arm itself. I may carry them if they work properly. Right now I use all single mode tactical lights to keep things simple. Also not sure exactly how you have clearance there with that tailcap, I rechecked with a e Series body and a scout body -all the flared tailcaps I have from surefire interfere with the barrel hanger. 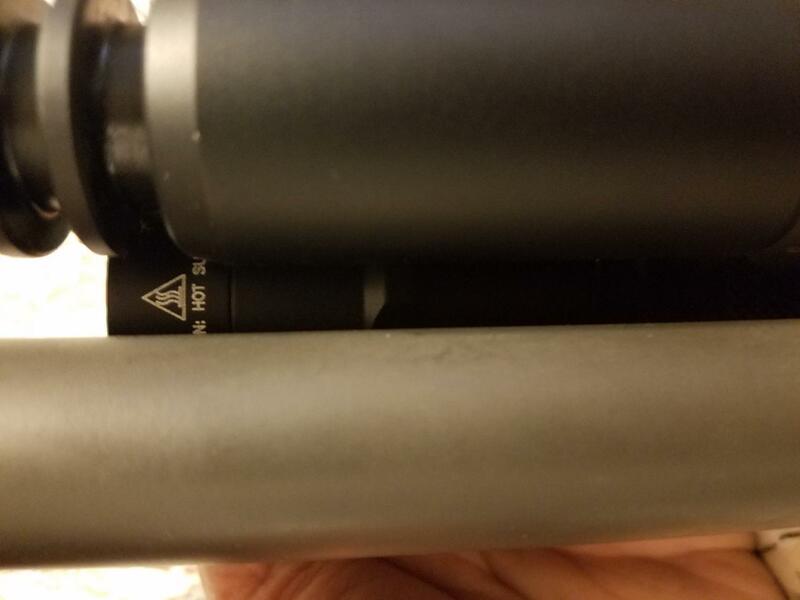 Is it forcing your light emitter closer to the mag tube/barrel as a result? Here is a picture if the Intellibeam Sensor , it's the little black tube inside the lens housing : I tried it inside my house in the pitch black, white walls, mirrors , seems to be functioning as it's supposed to . 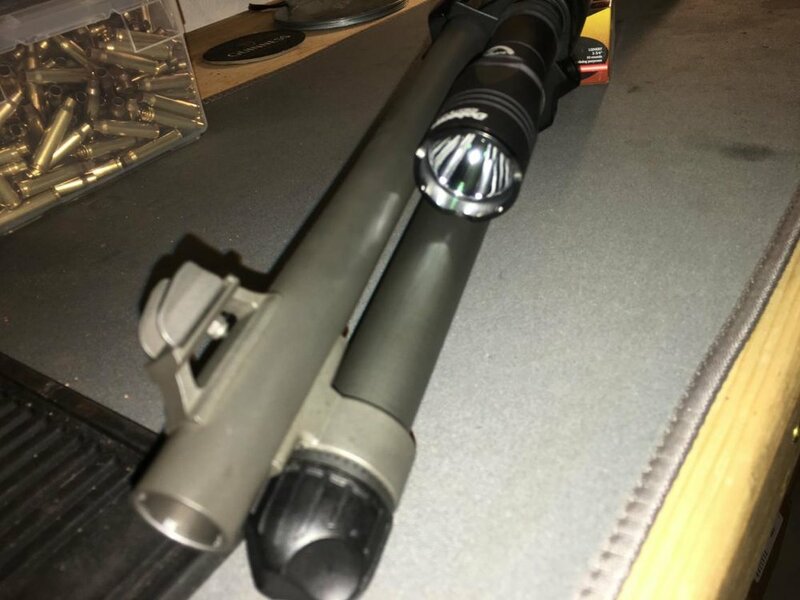 You need to mount it OPPOSITE the barrel side of the light . and Barrel it fits perfectly and rest against both of them . The shrouded tailcap fits !!! 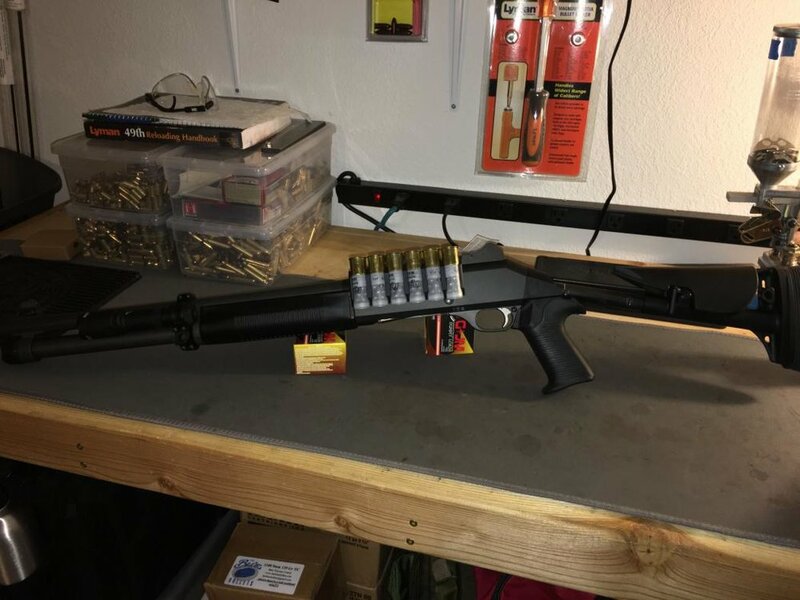 it sits against the hanger right after the black plastic forends . I took a top view and side view for you . Not sure if I'm doing something wrong, but it works !! !